Soak the rice for 1 hour. After 1hr of soaking, grind the rice and salt in mixer. Grind it coarsely. Don’t make it smooth. Mix one cup water to this. Heat a griddle/ non stick pan with oil. Add mustard seeds, urad dal, channa dal, cumin seeds. Let them crack. Keep your stove in low. Now add the curry leaves. Add onion and green chilies. Let the onion turn translucent. Let it cook for 2 to 3 mins, not more than that. Add the ground rice with water. You should go on stirring. Otherwise the rice would form lumps and stick to the base. At the stage where you find that the rice gets bonded, thick and they will not stick to the base. It gets together and you can make balls out of it. Now stop the stove. Let this cool for 2 minutes. You can make them in which ever shape you want, I would prefer the round shape. If it sticks to the hand you can grease you hands with little oil and do it. Now steam them in idly pot or a stock pan. Steam can be done in high also. It took 8 mins for me. This can be had without any side dish. Fenugreek leaves and seeds have great medicinal value. This is one of the common ingredients in Indian cuisine. They help in the increase of breast milk for mothers. They help in reducing the body heat. When we visit the Indian stores, we would never forget to get these leaves. Indian flatbreads can be prepared in many ways. We have the stuffed paratha , normal paratha. 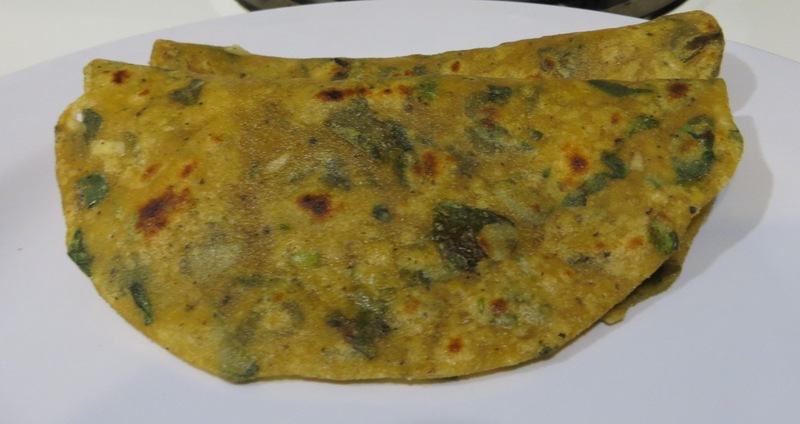 I have given the normal paratha recipe here. Garlic – 2 pods, finely chopped. Wash the fenugreek leaves and keep it aside. Mix the wheat floor, fenugreek leaves, green chili, pepper powder, garlic, salt and oil with water. Add water little at a time and make a soft dough. Do not make it too dry let it be moist. set it for 10 to 15 mins. Next make balls out of this dough. Then roll the balls dusting a little flour into round shape with a rolling pin. You can do it the similar way like the Pizza base. It can be a little heavy. Don’t make it too thin or too fat. Heat a griddle and place the rolled out dough on it and cook for a minute.When bubbles start appearing , now flip it over to the other side. Apply butter over in this side. let it cook for a minute. Flip and apply butter this side as well, let it cook for a minute, you can see brownish color dots. You can have it with garlic sauce, pickle or plain yogurt. It has a great taste. Adai the very famous south Indian dish made of lentils. It’s a great source of protein. It goes well with Pudina chutney/Mint leaves chutney or anything that’s little spicy. 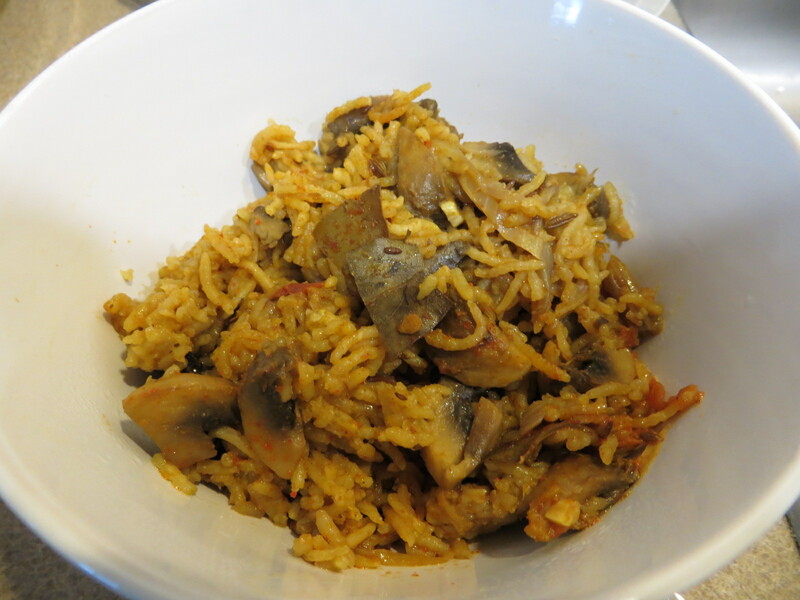 This is one easy option for guests something special with great taste, easy to make. The specialty of this dish is that you don’t have to ferment it, usually the dosa mix has to be fermented before we prepare. But this one we can prepare as soon as the batter is ready. Once I ran out of Dosa batter and we got a guest who is from South India, people from south India would love dosa, so immediately I planned for Adai, and our guest loved it. Lets see how to prepare it. Oil for making the adai. First soak all the ingredients in to grind for 1 hr. The lentils would have soaked well after one hr and gets swollen. Now put them in a mixer and grind. You can do it coarse or smooth. I would prefer to grind smooth. 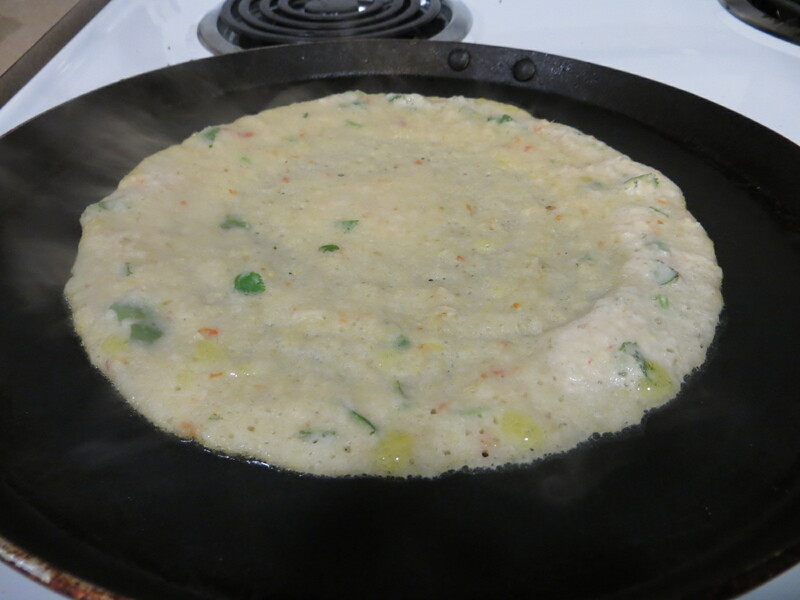 Once the grinding is done, you can immediately prepare the adai. If you need to have it after some time, put the batter in fridge and take 10 mins before you need to prepare. Now mix the Asafoetida and salt in the batter. Add onion, cilantro leaves, grated coconut in the batter, all these are optional. Heat a griddle or a non stick tawa and pour a ladle of batter and spread it in circular motion. Add a tsp of oil around it. Let it get cooked. Then flip it over to the other side and drizzle a tsp of oil around the adai. Let it get cooked. Once both sides are cooked well, you can remove the adai from tawa and serve hot. Yesterday my hubby took me to the Laguna beach , Wow it was an awesome beach and I loved it there, We had a great time. Once we finished the sunset view, we found a Hare Krishna, Hare Ram temple nearby the beach. After the worship, it was dinner time, as it was Holi ( spring festival, festival of colors in India) yesterday they were serving dinner for everyone. Oh my god, it was such an awesome food. It was as if there was a whole party going on. I guess we ate too much :P, even when we reached back home, I was totally full. Just to get rid of any toxins that caught up, I decided to use anise seeds today. Carom seeds are such wonderful medicine for digestion. If you have any sort of stomach discomfort, then go for anise seeds. They are called as Ajwain in Hindi. Omam in Tamil. Vamu in Telugu. So here we go with the method. Oil : 2 table spoon. Clean the rice and keep it aside. In a pan heat the oil. For such kind of rice, I would prefer using gingely oil, as they soothes the stomach. Once it is hot, put the cumin seeds. Let it crackle. Next add the sliced onion and green chili. Saute for few mins. Let it turn translucent. Add ginger garlic paste. Saute for a min. Now add the carom seed. Saute for a min. Add the lemon juice and saute. Now add the cleaned rice and mix well with the content. Rice would get blended well. Saute for 2 mins. Now add 1:1.5 Basmathi rice: water or 1:2 normal rice: water ratio of water. Add salt as well. And cook the rice. Once it is done serve hot 🙂 Simple fast easy and healthy recipe. Cleanse the rice and keep it aside. Chop the mushrooms. Heat the oil in a pan , once it is heat, saute all ingredients in to season. When they crackle a bit, put the onions and saute it. Let it turn translucent. Now add tomato. Saute it for few mins, let the tomato cook well. Now add the chopped mushrooms. let it cook well. Now add the turmeric powder, red chili powder, coriander powder and garam masala. Let it blend well with the mushrooms. Add the cilantro and mint leaves now. Let it cook for few mins. At this time it looks like a gravy. Now add the cleansed rice. And mix well. Let it get mixed well. Add 1: 1.5 of rice to water ration now. Add salt mix well. Now just taste the water and check if all the spice and salt is mixed perfectly, if not you can adjust at this point. Close the vessel. Leave it for 7 to 8 mins. Now the rice would be 3/4 cooked. Mix the rice, so that the top portion rice would go below and get cooked. Leave it for another 3 to 4 mins. Now the rice would be done. The flavor of rice is awesome. You can have it with either raitha or simply plain yogurt. 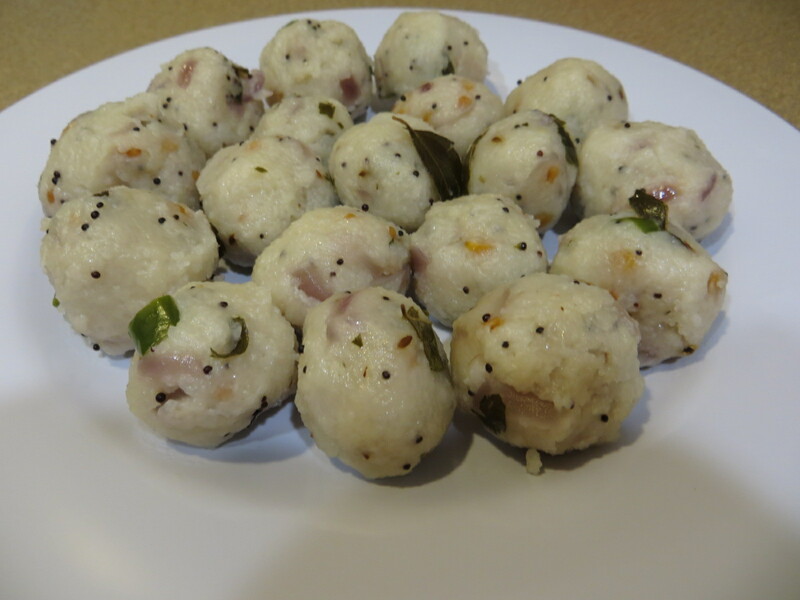 South India is famous for Idli and Dosa. Most of the south Indian breakfast would definitely have Idli or Dosa. There are many varieties of this. I am posting the most basic method to prepare the batter. Method: The trick in preparing soft idli’s is based on the soaking of rice and dal. Soak Idli rice for 6 hrs. Urad dal must be soaked only for 45 mins. Dont worry even if you cant grind it, then just put it in the refrigerator, and take it 10 mins before you can grind it. You can soak the fenugreek seeds with the urad dal. In India, we use the grinders to grind the batter, as usually we do it in large quantities. But here in US most of the mornings we have only cereals, I use the mixer. Just that it takes time rather than the grinder. There is no hard and fast rule of which one to be grinded first. Either rice or dal can be done. Grind it properly to a fine paste. 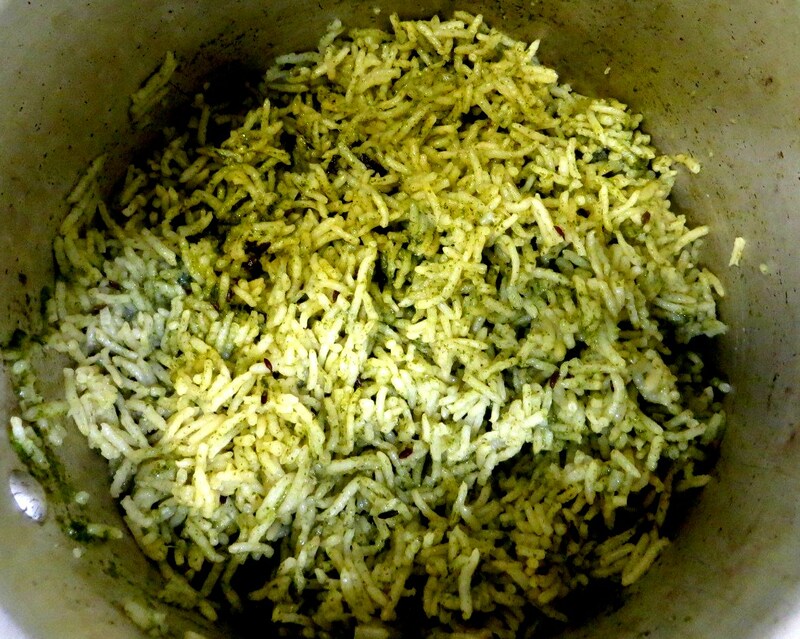 Mix the content of rice and dal with salt properly. You have to clean your hand properly for doing this. As the mixing is done by hands. Mix well with hands for atleast 3 to 5 mins. Store the batter in a large container. Allow it to ferment for one whole night. The next day you can see that the batter has completely fermented and now you can place it in refrigerator. I usually use the batter the first few days for preparing Idli. After 2 or 3 days, since it would start to get watery we can use it for Dosa/ Indian pancakes. I have heard many of my friends telling me that fermentation doesnt happen well , specially in the winter season. 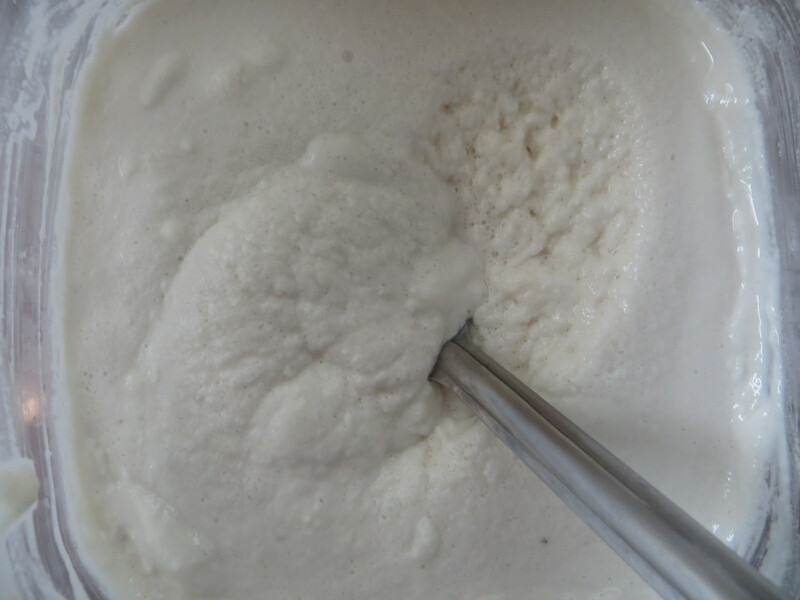 Nowadays we get very good yeast, which we can add to the batter and that helps in good fermentation. 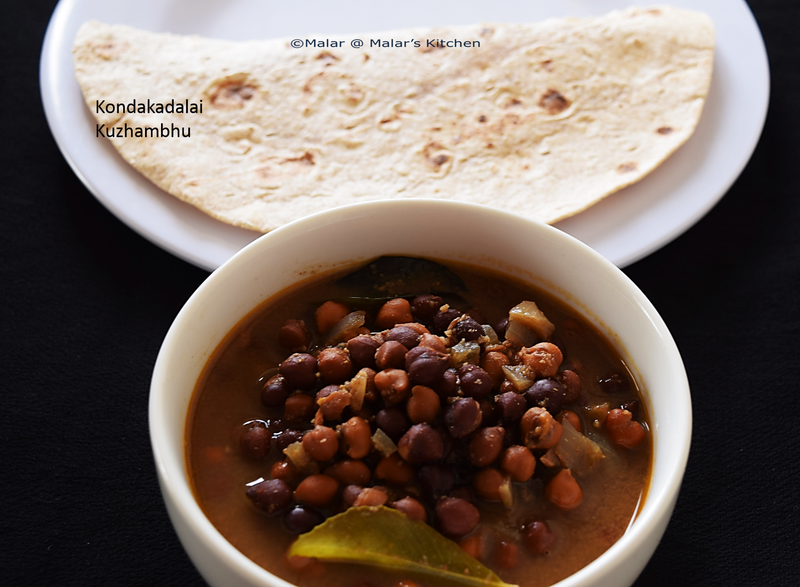 Kala Channa Gravy, kadalai curry is very healthy and easy to prepare. This goes well with rice, roti, idli, dosa, puttu. Grind all the items in to grind. Keep it aside. 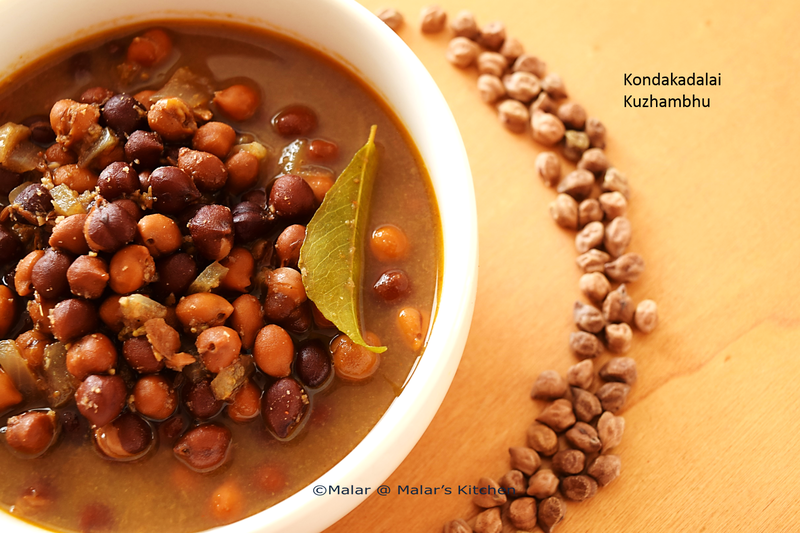 In a pressure cooker, add kala channa, cloves, cinnamon and add water to cover enough and pressure cook for 3 whistles. Stop and let it cool. Now add the chopped onions ,ground paste, red chili powder, coriander powder, channa masala, salt and tamarind juice. Now again pressure cook for 3 to 4 whistles. Once done stop and let it cool. Heat 1 teaspoon oil in a pan, when hot add cumin seeds. When it crackles, add curry leaves and stop. Mix this with the cooked channa. 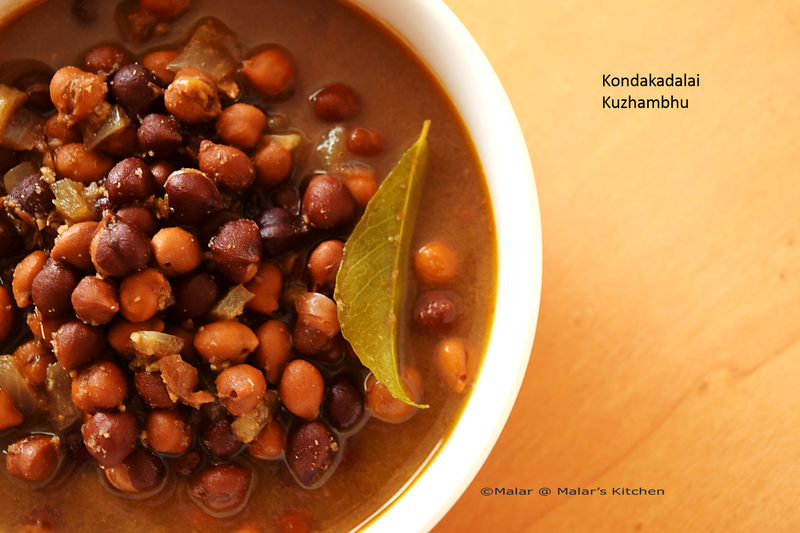 Easy Kala Channa gravy is ready, serve with rice or roti. A bit of change from usual kitchen stuff , its about hug a great medicine…..
Did you hug anyone today? If not, go find someone and hug them. Why you say? Well, who doesn’t love a good hug? And rumours has it hugging is good for you, not just because it feels good to get a hug. It transfers energy and gives the person hugged an emotional lift. You need four hugs a day for survival, eight for maintenance, and twelve for growth. Scientists say that hugging is a form of communication because it can say things you don’t have the words for. And the nicest thing about a hug is that you usually can’t give one without getting one. So it seems even science agrees hugging is a good thing to do. I wonder how that research was carried out. Did they have people wired up and told them to hug to see what happened? I hope so. Would’ve loved to be a part of that research project. Today its with the mint leaves, be it the taste, the aroma, digestion aid, they are super good. This is just a simple quick rice recipe again. We can do the same way with either mint leaves, cilantro leaves. Clean the Mint and cilantro leaves, chop the onions , cut the green chilies, garlic and ginger, grind them all in a mixer well to a paste. Don’t make it too watery. Take measurement of this in cups, lets say we get 1 1/2 cup of this mix. Clean Basmati rice and keep aside. You can either use pressure cooker or a normal pan to cook this. I used pressure cooker. Pour the oil and once it is hot, throw the cumin seeds, cinnamon sticks, cloves and bay leaves, let it splutter. Now pour the ground mix and let it boil for few mins. Now put the rice and salt in this and mix well. Now we already had 1 and a half cup of the mix. Usually I use 1:1.5 rice and water for basmati rice. Since we have 2 cups of rice and already have 1.5 cups of the mix, use another 1.5 cups water and close the pressure cooker and leave it for 3 whistles. If you are cooking open in a pan, just ensure, the rice is cooked well. Do not drain any water. You can use fork to separate the rice. 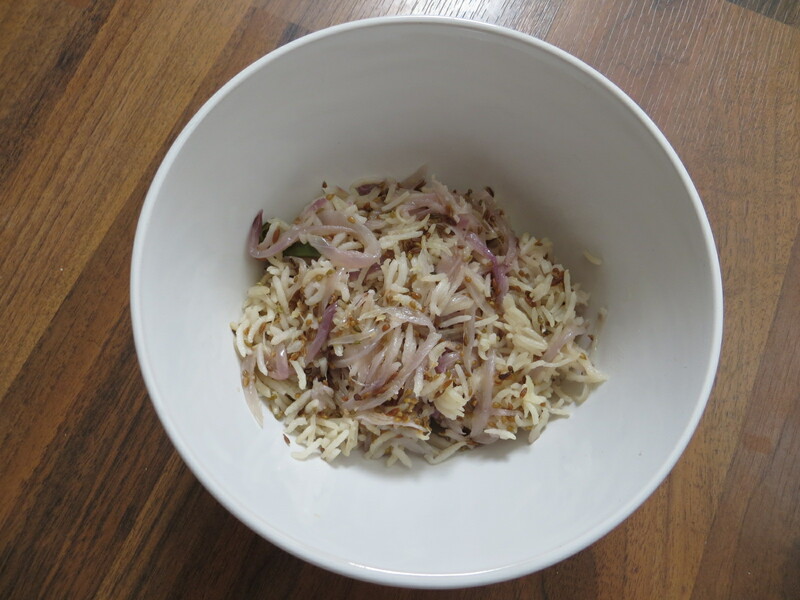 This rice can be served with yogurt onion raitha, or simply yogurt is nice and goes well with it. I am a crazy lover of Ginger. I would say the most awesome food/spice in the world is ginger. When I was a child I used to hate them to the core. In food , if I found it, the day is gone, I would start yelling around :). It all changed few years ago, when I had severe cold, I used to get yellow fluid of mucus eeeekkkks, I used to hate myself those days. One of my friend suggested just have a piece of ginger in your mouth and slowly intake the juice. It would be helpful. It was a big deal for me, yet i tried it. Suddenly i found that awesome taste of ginger, pungent spicy, oh my god, I started loving it….. Some of my karnataka friends who are awesome cooks, used to always have ginger in almost many things they prepare. Later even i started taking it everyday, include even in my tea. Almost in most of my cooking there would be ginger. I would love to post some of the benefits of Ginger here…. Gastrointestinal Relief — Gastric problem, take few pieces of ginger and cut slices out of it. put them in water and boil it well. drink the water, you can mix honey if you want. Believe me gastric problem vanishes. Asthma/Cough/Cold : I had already spoken about this 🙂 Ginger is the best medicine for cold. Immune Boosting system: I would 200% recommend that ginger boost immunity. After I started taking ginger in my tea everyday, I would say I haven’t got cold/cough touch wood 🙂 It fights infections fast. Painful Menstruation : If you have heavy periods pain, and intake ginger tablets , reduction of pain is just awesome. At time yes we need to avoid ginger for few people, You should not take ginger if you suffer from a bleeding disorder or take blood-thinning medications (such as warfarin or aspirin). It also lowers blood sugar.